Provided are contact details for Cardigan Driving Test Centre, test route tips, test booking information and help passing the driving test in Cardigan. Test Centre Details: Male only toilets available at this test centre. Wheelchair access not available. Car parking available for test candidates. Cardigan Driving Test Centre is situated around rural roads where bends may be difficult to navigate due to oncoming vehicles. See the country road driving tutorial for advice on using these road types. Small village roads may have narrow and difficult areas which is a common area to fail driving test. Primary route ‘A’ roads are also present. To gain a better understanding of the various road types and traffic systems that you are likely to encounter during your test from Cardigan Driving Test Centre, visit our driving test routes section. Depending on the location of your test centre, it can be of benefit to book your test around peak traffic rush hour times. Driving tests cannot be booked through the test centres directly. To book a driving test, there are 2 options; by phone or online. To book a practical driving test at the Cardigan driving test centres by phone, see the book a driving test section for DSA test booking telephone numbers. The DVSA (previously the DSA) telephone number is an automated service. The option to speak to a DVSA assistant is available if required. To book your driving test online for Cardigan Driving Test Centre, see the book a driving test section for all DVSA contact information, plus online practical test booking details. A full refund is available if you wish to cancel the driving test in Cardigan provided 3 clear working days notice is given. The above conditions must also be met if rescheduling the test. The above contact information can be used for these purposes. Driving test pass rates vary considerably depending on which test centre your practical is taken at. Browse the driving test pass rates section for information on your UK DVSA test centre pass rates. Though it is possible to call driving test centres directly, if you wish to book or alter a driving test, this must be done via the DVSA (see above). Cardigan Driving Test Centre telephone number may be either located on this page or via the driving test centre contact numbers section. Test centres can be contacted only for an up to date status of tests, such as whether they are still being conducted in bad weather for example. See driving tests in bad weather for further information. 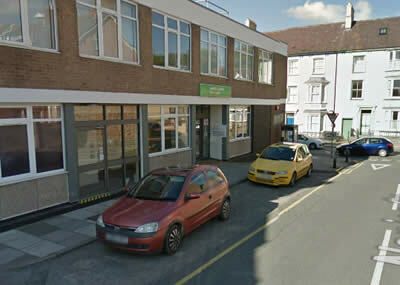 In order to help others that are taking their driving test, or to simply tell us whether you passed or failed your driving test, write a review of Cardigan Driving Test Centre. Rate this driving test centre based on your experience using them, what was your examiner like and how difficult were the test routes? It’s quick and simple – no signup necessary and only your nickname will be displayed. To ensure your review meets our guidelines, please read our Terms and Conditions prior to submission.